I am a big believer in using alternative remedies to help common ailments. I have found great success using alternative remedies and the remedies below are safe for babies to help relieve their common ailments. 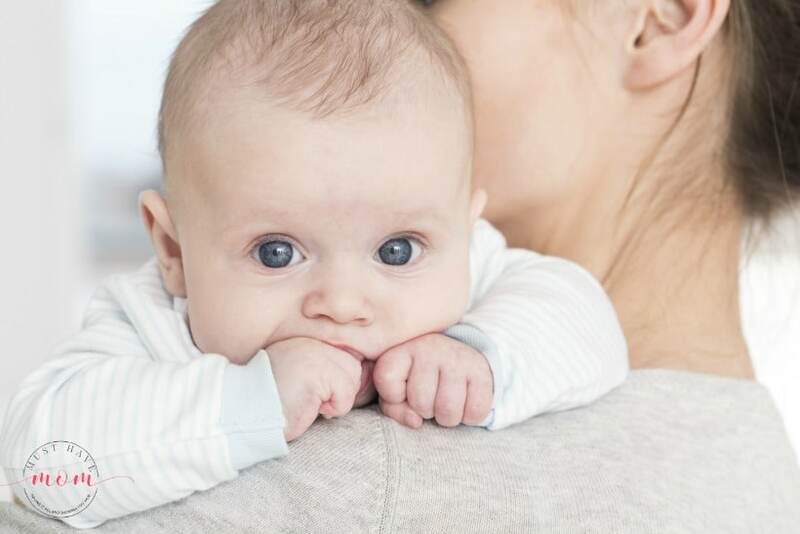 Babies have many common ailments from teething to colic and it can be stressful to find remedies that help comfort them. I would rather use an alternative remedy to relieve their discomfort than turn to more traditional suggestions. The good news is there are lots of alternative remedies for babies that will help them be more comfortable and relieve their discomfort. Here are our favorites! Every baby is different when it comes to pooping. Some babies poop multiple times a day, while other babies may only go once or every other day. Depending on their diet this can be completely normal. If your baby is straining to have a bowel movement or going several days or more without a bowel movement then they are likely constipated. 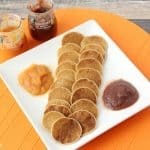 For babies older than 2 months old, add 2-4 ounces of fruit juice such as grape, pear, apple, cherry, or prune juice two times per day. This can help naturally promote motility and get things moving again so baby can have a bowel movement. You can also give your baby Wellements Organic Baby Move. It is an organic remedy free from unnecessary preservatives and includes prebiotics and organic prune concentrate blended to help promote regular bowel movements. It can be given up to twice daily if you notice your infant or toddler is constipated. Once you see an improvement in your baby’s bowel movements, discontinue use. My son Aiden had a terrible case of colic when he was little. He cried and cried all the time. He was a miserable baby and as a mom, my heart broke for him because I could see how miserable he felt and I felt helpless. Since then I’ve learned about the huge benefits of good gut health. Had I known then what I know now I could have really helped relive his multitude of issues. I hope what I’ve learned can help spare your baby from going through the same thing. Gut health is the center of everything. Having healthy flora is a good majority of your body’s immune response. It also contributes greatly to healthy digestion and so much more. Babies suffering from colic can benefit from probiotics and it can help relieve their discomfort. But how do you get a baby to take probiotics? 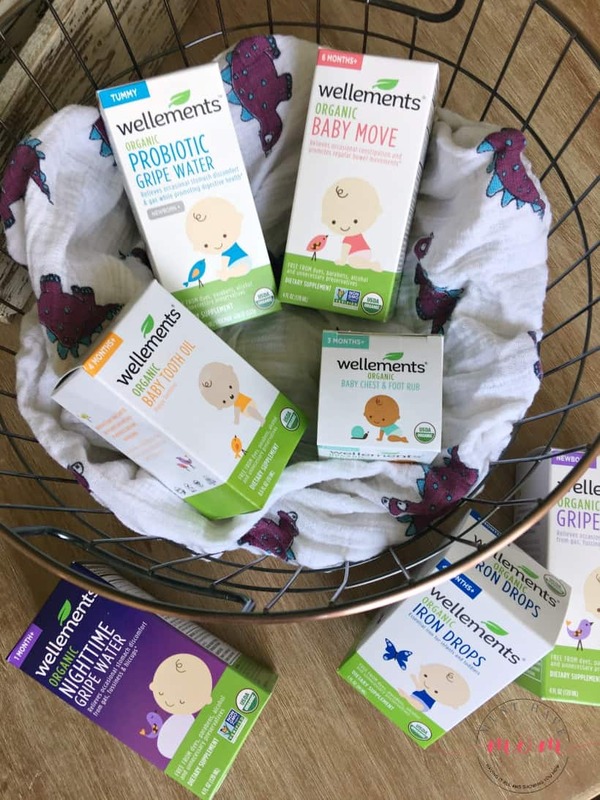 Wellements Organic Probiotic Gripe Water is a remedy for colic that combines its time-tested gripe water with probiotics to help quickly relieve occasional stomach discomfort due to colic, gas, fussiness and hiccups while also providing a daily probiotic supplement to support long-term gut health. Another big thing to note for parents caring for a colicky baby is to be sure you reach out and get some help. Having a break from the crying is a necessary thing in order to keep your sanity! Don’t feel guilty asking for help or taking a break from baby and letting someone else care for them for a time while you practice some self-care. Teething is one of those issues you’ll have to deal with over and over again as a parent. 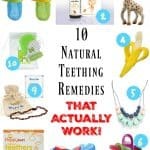 There are several teething remedies that actually work. So many that I wrote a post dedicated to just talking about my favorite teething remedies. 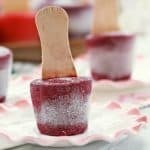 From my favorite teethers to frozen fruit in a mesh feeder, there are many easy remedies you can use at home. I like using Wellements Organic Baby Tooth Oil which is benzocaine and belladonna free. Teething necklaces are also a favorite teething remedy of mine. If your baby is waking up often at night fussing, then chances are you miss sleep! Luckily, there are remedies that can help promote better sleep for your baby which will result in better rest for you too! Win-Win! Keeping a routine is important in order to promote healthy sleep patterns. Try to keep a nap and bedtime schedule as much as you can for baby. Ensure that you put them to bed with the proper amount of clothing and a swaddle instead of blankets. If it is hot outside, then be careful not to overdress baby so that they get too hot and become uncomfortable. Similarly, if it is cold, be sure to put warm pajamas and a warm swaddle on baby to keep them warm enough through the night. You can also try Wellements Organic Nighttime Gripe Water which helps ease occasional stomach discomfort & gas often associated with fussiness & hiccups, while also promoting peaceful sleep. I love this. I’m a huge advocate for using medicines as the very last resort. I think products like this help with that. I was (and still am) all about organic options for the kids when they get sick. I haven’t heard of this brand but I’ll check them out! Organic is always better! I’ve never heard of this brand, but it sounds great! These are great products! 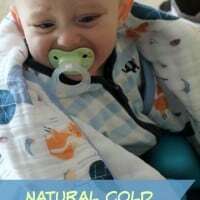 I always looked for natural or alternative remedies for my little ones when they were teething too! Gripe water has always helped our babies. I like that this formula adds probiotics to the mix! We also like to try alternative remedies, but weren’t brave enough to try them on our babies. Stuck with whatever the doctor recommended for them and guinea pig’d on ourselves! These sound like wonderful products and a smart way to make babies feel better. Alternative remedies are always a good way to go! I will share this with my friends who have little babies. These are great suggestions! I don’t have a baby but these might be great gifts for friends.